Dynamic Design Newbury 12 in. x 27 in. Light Terra Plastic Deck Box by Dynamic Design at Outlet Shopping Guru. MPN: NQ2710LT. Hurry! Limited time offer. Offer valid only while supplies last. 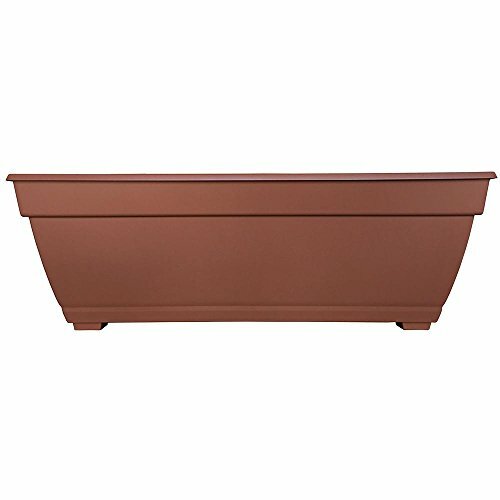 The Newbury series of planters feature elegant lines and classic colors. The Newbury series is meant to appeal to a variety of decorating tastes. The Newbury series of planters feature elegant lines and classic colors. The Newbury series is meant to appeal to a variety of decorating tastes. With such a universal design, it is sure to enhance your deck or patio. They are a perfect choice for your patio or garden.